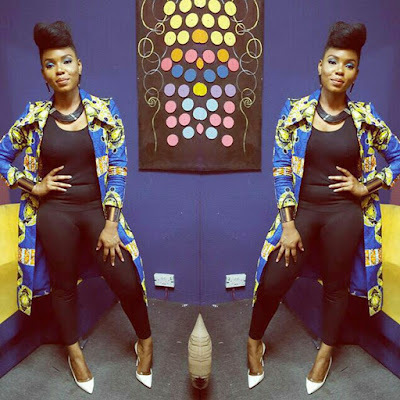 The Beautiful Yemi Alade Rocking An Ankara Trench Jacket. 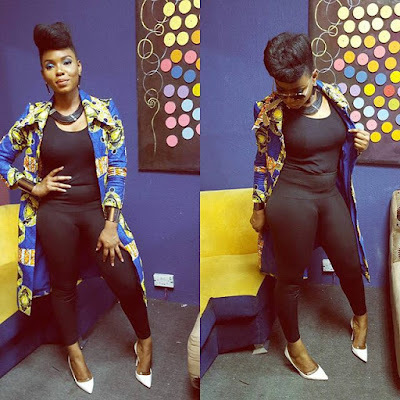 We can't get enough of Yemi Alade's love for african prints. Here is she rocking another print magic, an ankara trench jacket. She tagged the photo #africanhips #proudlyNigerian, LOL she no lie as her hips no dey lie too. Her beauty is so African, her beauty complements all her looks. See photo after the cut..